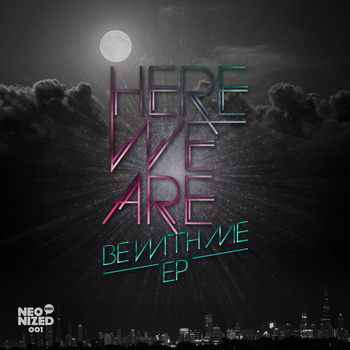 And then it's here, the second release of Here We Are. We showed you the promo video two weeks ago. "Solid second release by the Spaniards of Here We Are. An energetic original track that definitely will keep the dancefloor going. The release of "Be With Me" comes with several great remixes. All time favourite Nighty Max bring that extra spice to "Be With Me" by making it to something that we will play on the next coming gigs. This release will be with me!" So here are our two favourite remixes from "Be With Me" by Nighty Max and BombJack. Download or preferably buy the rest of the release over at Neonized Bandcamp. Justice like on the Nighty remix! Lovin both!! The Nighty Max remix blows BombJack's out of the water... like I mean Nighty Max is an atomic bomb test off the coast of South Korea and BombJack is the ship that end's up landing somewhere in Russia. "The Earth Plates Are Shifting"
Review of The Tapeaters debut album "Visions"